If you add a full-size keyboard and mouse you can recreate the comfort and productivity of a desktop computer, or even try using your Cicada for presentations and meetings. Perfect for your iPad! The unique open design of the Cicada also improves airflow all around your computer, keeping it cool, and extending the lifetime of your laptop. 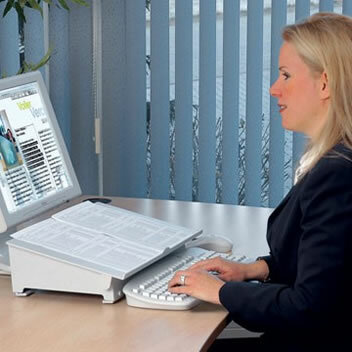 The Docuglide helps you to create a work surface over your keyboard and correct or change the document you are working on, which simplifies reading, writing and typing. The device slides over your keyboard so that changes can be made to a document without the need to move the keyboard out of the way. Designed by ergonomic experts, this is a simple yet brilliant forearm support. Ideal for helping to reduce stress on the wrist, forearm and even shoulders when working for long periods of time on the computer. The Evoluent™ Vertical Mouse™ has a patented new design and shape that helps support your hand in a relaxed handshake position, and eliminates the arm twisting required by ordinary mice. In technical terms it eliminates the wrist posture of dorsiflexion with forearm pronation that occurs with a standard mouse. 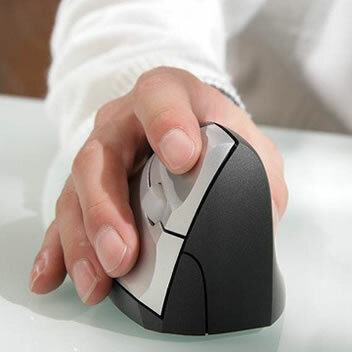 The main action buttons and scroll wheel are on the right hand side and the thumb naturally opposes the finger movements, which makes the mouse steady when the buttons are pressed. It’s really stable to use as the fingers and thumb balance each other on each side of the mouse. 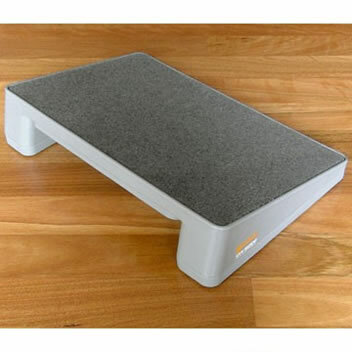 Simple, ergonomic and one of the best footrests we have seen on the market today. Highly recommended by Occupational Therapists for workstation set ups. Designed and manufactured in Australia. Thanks to breakthrough MCX LED technology, the Element task light from Humanscale is the only light to meet all the Department of Energy’s criteria for an LED task light. 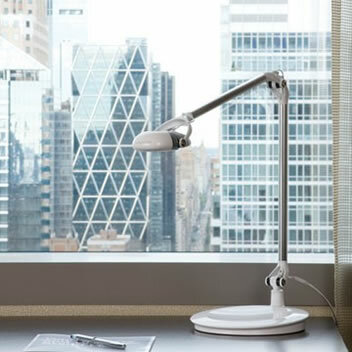 Featuring a single multi-chip LED and a unique heat-shedding design, Element produces the equivalent output of 70 watts of incandescent lighting, draws fewer than seven watts of power, and offers an exceptionally long 60,000-hour life span—30 years of daily use in a 9-to-5 office environment. 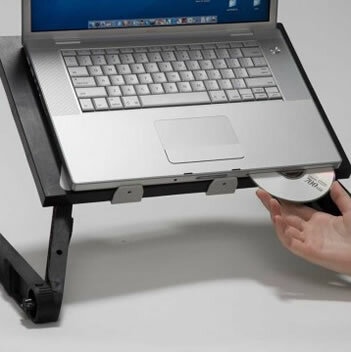 This is the newest patented LaidBack Laptop V3 notebook stand from Canada; your key to stress free computing! Much lighter and stronger than the original wood version, it is easy to carry wherever you go, yet has all the adjustability you would expect! The LaidBack stand is a must have for laptop users with disabilities, back problems or mobility issues. 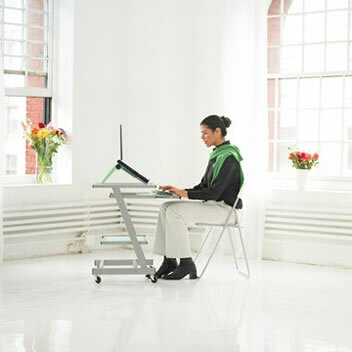 Lap top Laidback is fully adjustable (to maximize comfort), easily stored, and portable. 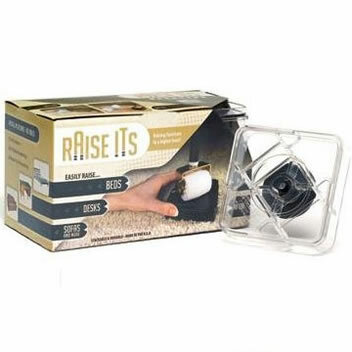 Made from a moulded engineered polymer for strength and durability. A great way to raise desks and furniture, simply and cheaply. Made of a strong sturdy plastic, these one inch high blocks (2.5cm) interlocked to a maximum height of three inches (7.6cm). Install in seconds, and no tools are required. Will support square or circular legs. 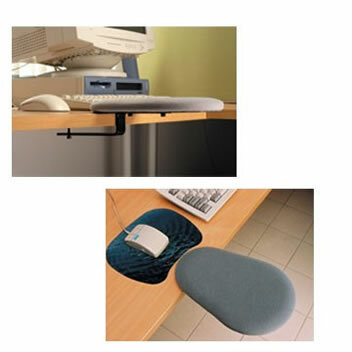 A terrific way to improve your ergonomic position by getting your desk and work surface to the right height. 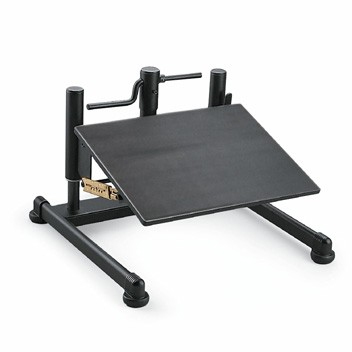 The Vu Ryser monitor stand or riser, is a simple solution to a common ergonomic problem. Your eye level should be approximately at the top 1/3 of your screen, so you need to get your monitor height up to the right level! Each stand raises your monitor in increments of 50mm providing a comfortable monitor viewing height to help reduce eye and neck strain. Modular in design, simply add more platforms to raise your monitor higher. Has storage compartments for paper, files etc. 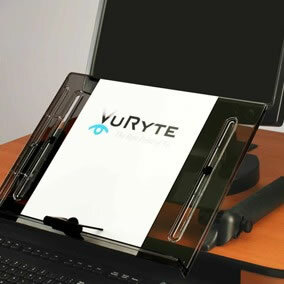 The Vu Ryte document holder can be adjsuted to meet your workplace needs, and is a perfect way to place documents, books and data in front of you to minimize posture stress and to help maintain a constant radius of eye focus. 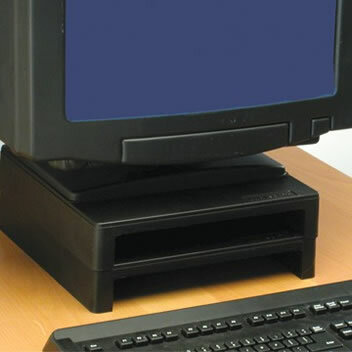 This document holder is designed to be used with Flat Panel Monitors and can be placed anywhere on the desktop, typically inline with the monitor. 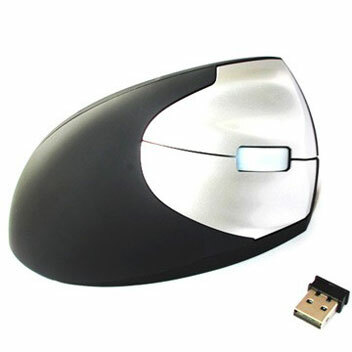 This new ergonomic design and shape helps eliminate the arm twisting required by ordinary mice. In technical terms it eliminates the wrist posture of dorsiflexion with forearm pronation that occurs with a standard mouse, which also eliminates pressure on the carpal tunnel. 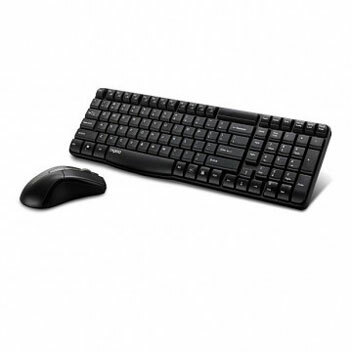 A terrific multimedia combo package from Bad Backs that includes a a wireless keyboard and a wireless mouse. 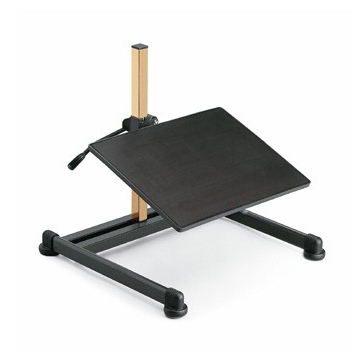 Perfect for use with a laptop riser or stand. With Rapoo’s latest energy saving technology and power switch, you can use your keyboard for up to 12-month and the mouse for 9-month without power interruption. Bimos industrial footrests are really easy to adjust for the individual concerned, enabling the user to adopt the correct posture and thereby ensure good thigh circulation. The non-slip rubber tread provides a firm grip even when the work is physically demanding. All bimos footrests feature continuously variable height and tilt angle adjustment. This means that the footrests can be perfectly adapted to any workplace situation. Height adjustment range: 65 to 410 mm. Tilt adjustment range: 8° to 25°. This pneumatic model from Bimos makes adjusting your footrest as convenient and easy as adjusting a familiar modern workplace chair. Height adjustment range: 100 to 340 mm.